An accomplished artist who has sold her oil paintings, Mary L. Piper was the second runner-up in our 2002 contest. Rockers Steven Tyler and Ozzy Osbourne are both proud owners of Brenda Pattison originals. 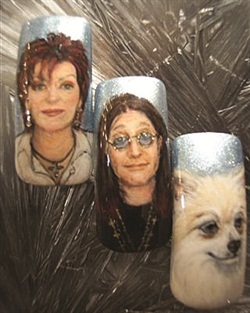 Pattison, the owner of Nail Designs by Brenda in Inkster, Mich., and a huge music fan, began painting portraits of her favorite rock stars on nail tips in an effort to get her work noticed. 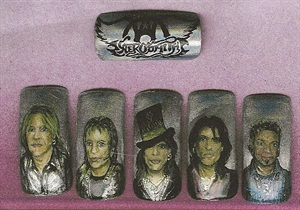 “I love Aerosmith, so I did a nail of Steven Tyler and I got the rare chance to meet him backstage at a show here in Detroit,” says Pattison. “I showed him the nail and his reaction was amazing.